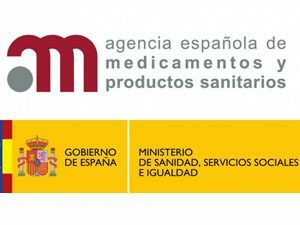 The Spanish Agency for Medicines and Health Care Products (AEMPS), under the Ministry of Health, has granted the manufacturing authorization for medical devices to Devicare until the year 2022. This new milestone in the commitment to quality and patient safety is relevant “because this acknowledges the good manufacturing practice and will allow us to conduct quicker and simpler export negotiations in countries where we plan to introduce the Lit-Control® pH Meter medical device to prevent and manage recurrent urinary diseases”, explains Talyta Carteano, head of Regulatory Affairs of the company. In Spain, Lit-Control® is marketed through the pharmaceutical firm M4 Pharma since 2016, and also the last year Devicare concluded an agreement in Mexico with the company InnovaSalud. During the current 2017, Devicare plans to introduce this product in other European countries —a region where lithiasis alone already appears on the list of high-prevalence chronic diseases of the WHO— and Latin America. Devicare holds as well the ISO 9001:2008 and ISO 13485:2012 certifications and the CE marking, all issued by the British Standards Institution in 2015.